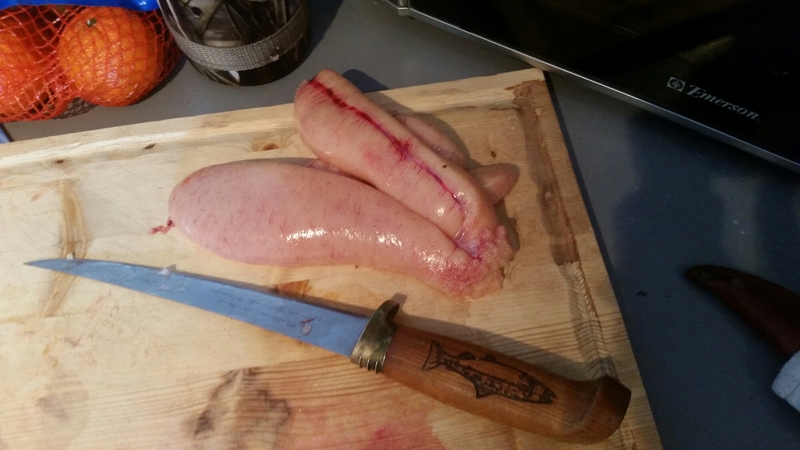 Ahead of a weekend of Not Much, Really, I figured I’d leave a post of what became of our walleye earlier this week. 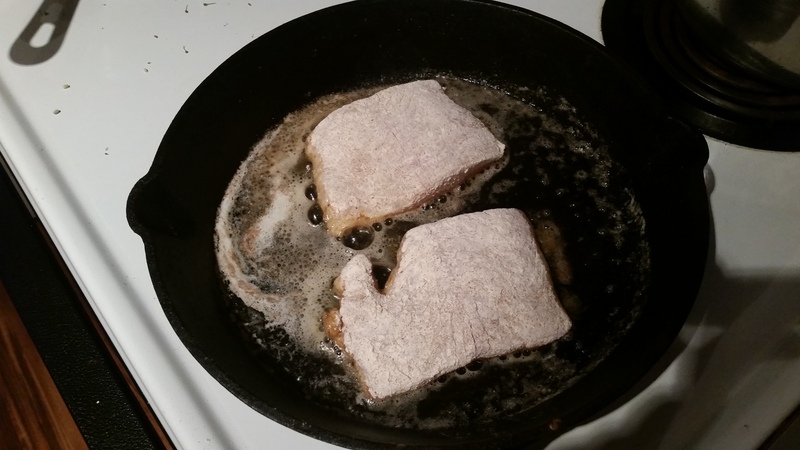 Of course, there was the obligatory fried walleye; though I stuck to a flour dredge and pan frying, since I couldn’t be bothered to do the whole fuss of deep frying. 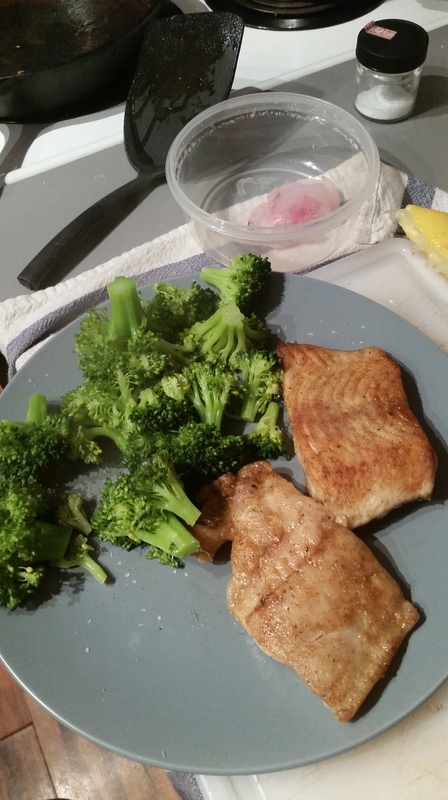 The second thing I made from these fish was caviar. Remember those huuuge egg sacs? These were just from the larger fish. The smaller one was also a female. I felt like since we took these female fish out of the lake, thus preventing them from making more walleye, the least I could do was put them to use. So I looked up Hank Shaw’s recipe for caviar. 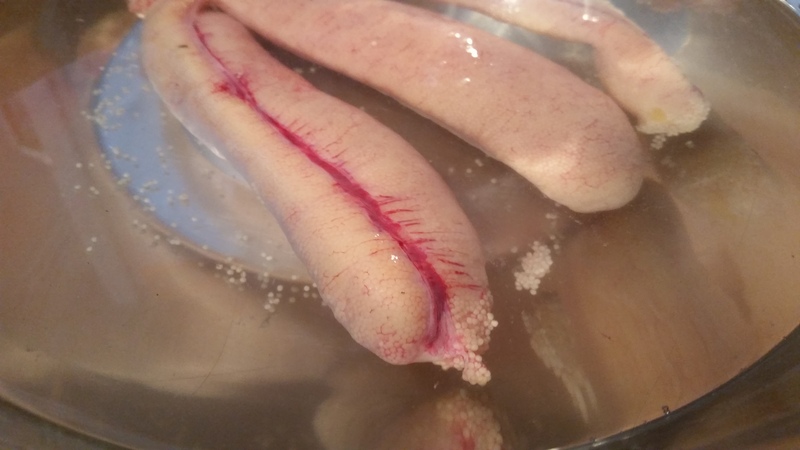 Egg sacs in a saltwater brine. Basically all you do is cure the eggs in salt water. First, you brine the whole sac, skein and all. Then you have to get the eggs out of what is essentially the ovaries. I accomplished this with the hot water method mentioned in the recipe. I don’t have pictures of this process, as I had egg goo (you will burst eggs, no avoiding it), membrane, and brine all over my hands. Once you get the skeins cleaned off, discard the membrane. I found it easiest to clean the skeins while the were submerged back in the brine. This way the eggs stay more or less in one spot. I brined the eggs for about 30 minutes, which may have been a bit longer than really necessary. They’re pretty salty, but still good. I wish I had known the volume this would produce. I got a nearly-full 12 ounce jar out of the skeins from both fish. That is a lot of fish eggs. 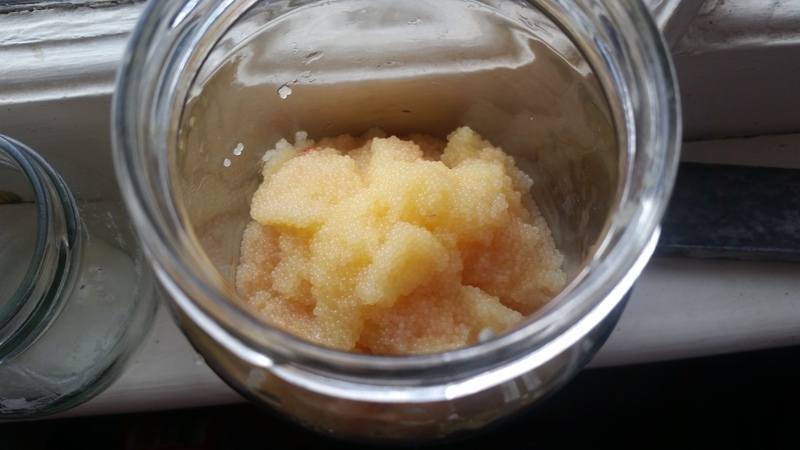 Even sneaking several spoonfuls throughout the day all week, I still have a crapload of fish eggs. And they do get progressively saltier as time goes on. I hope to finish them up this weekend in various dishes, because I don’t think they freeze well. I could very well be wrong, though.